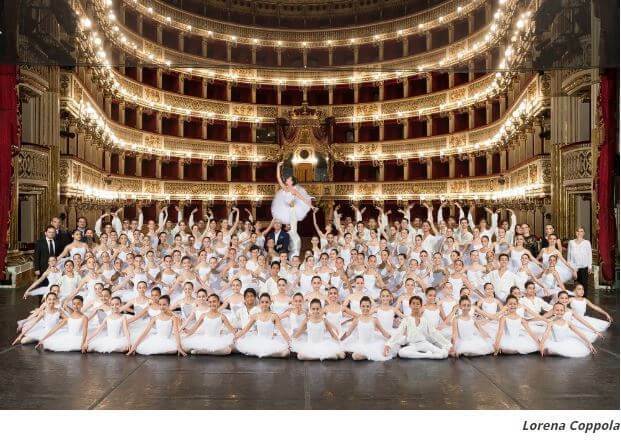 Naples’ Teatro San Carlo is one of the most important theatres in Italy and amongst the oldest in Europe. A long illustrious line of distinguished soloists have performed on its venerable stage; from Margot Fonteyn to Carla Fracci and Ekaterina Maximova, Rudolf Nureyev to Vladimir Vassiliev. The resident ballet company is under the artistic direction of Giuseppe Picone and recently installed Harlequin Studio performance dance flooring in the four rehearsal studios and Harlequin Cascade on stage.